Mould is making people sick on Canada’s reserves, according to the Assembly of First Nations (AFN), which says it’s a problem that needs immediate attention. “I’ve encountered that not only in our region but all across all regions of this country,” said AFN Manitoba Regional Chief Kevin Hart, who has the housing portfolio for the national advocacy organization. Hart’s comments come as the federal NDP push for a national task force on Indigenous housing and a First Nation school remains closed due to mould concerns in northern Manitoba. “I just received a letter from a former teacher that was there at the beginning of the year but he left the school… because of health issues,” said Guy Dumas, who shuttered the Kindergarten to Grade 12 Sakastew School on Mathias Colomb Cree Nation on Dec. 4, 2018. Dumas said the letter shows the federal government knew about mould problem at the school, which is home to 590 students and 87 staff. Dumas was out of the community on the weekend and Monday was trying to get back to answer questions from the band council. He said the school remains closed while a Winnipeg company deals with the mould, which he said is widespread in the community’s homes as well. Hart estimated 225,000 new homes are needed to properly house people on First Nations. “What we’ve identified from various housing forums and the information from our chief’s committee on housing and infrastructure… if we were to build a little over 10,000 homes in the next 20 years that’s still not going to address our numbers today and the anticipated growth of our population,” he said Monday. The federal NDP released data from Indigenous Services Canada last week that showed inspectors found mould in homes on every reserve they tested. 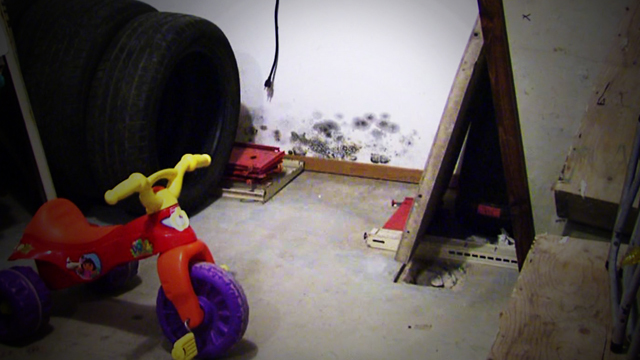 The political party called on Ottawa to launch a task force to assess and respond to the need, which Hart said is growing more urgent as people become better informed about the effects of mould exposure. AFN Manitoba Regional Chief Kevin Hart. “I bet you if there was a long case study done on First Nations people relating to housing and mould you’d see the linkages when it comes to health,” Hart said Monday. Dumas said mould in the Mathias Colomb school was making students sick. 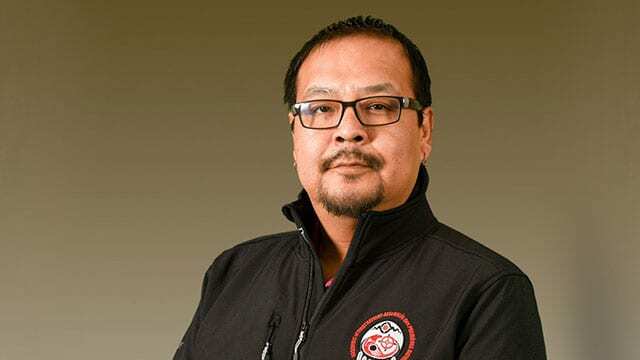 The situation sparked a meeting between band officials and regional representatives of Indigenous Services Canada, press secretary Rachel Rappaport told APTN News. “Education is critical to the success of First Nation youth and the government of Canada is committed to ensuring that students are able to learn in a safe environment,” she said in an email Monday. Chief Lorna Bighetty confirmed a meeting has occurred and said she was waiting for more information before commenting further. “Right now, I just need to see more of those facts about mould. Just waiting for that person that did a reading on it to drive in,” she said via phone from her office. But Dumas said the government is referring to the first of two test results. He said a second one identified more extensive mould throughout the school. 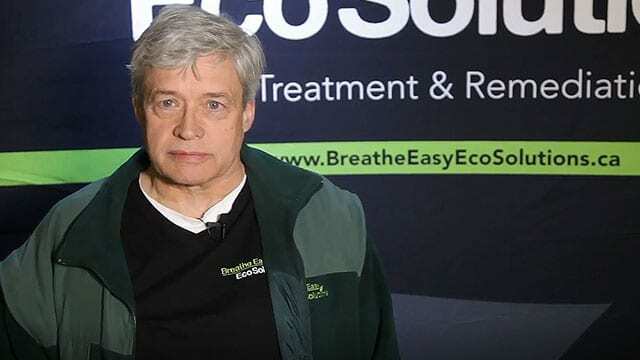 Steve Greene is operations manager of Breathe Easy in Winnipeg. This was confirmed by Steve Greene, co-owner of Breathe Easy Eco Solutions of Winnipeg, whose company was contracted to clean up the mould. He said flooding occurred in the school between both tests that likely made things worse. He said Health Canada – on its website – describes the onset of mould illness as asthma-like symptoms: stuffy nose, sneezing, itchy eyes and raspy cough. The second stage “of mould poisoning,” said Greene, can be skin rashes, nosebleeds and migraine headaches. Greene said children and the elderly usually get sick first because they have immature or compromised immune systems. And doctors don’t always diagnose it correctly, he added.